Save up to 20% when you subscribe! Single ticket sales start Tuesday, August 6. Whatever you do, don’t let The Pigeon star in his own musical production! Because it’s not easy being The Pigeon – you never get to do ANYTHING! But when the Bus Driver has a crisis that threatens to make her passengers (gasp!) late, maybe that wily bird CAN do something. 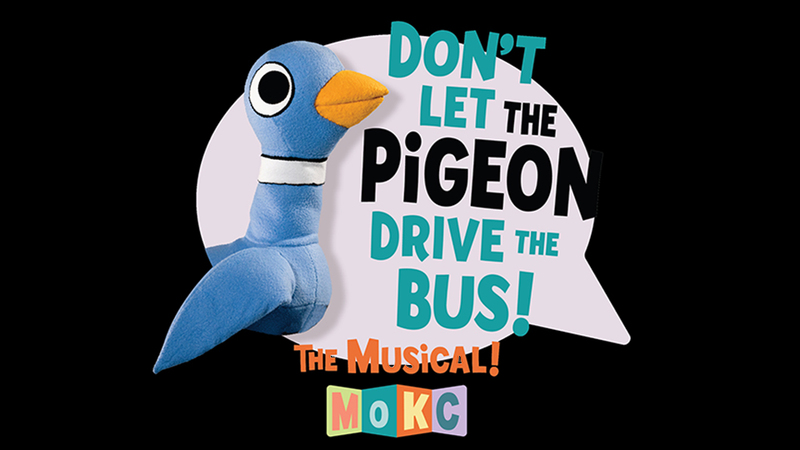 Starring an innovative mix of actors, puppets, songs and feathers, Don’t Let The Pigeon Drive The Bus! (The Musical) is sure to get everyone’s wings flapping.